This session provides an introduction and overview of risk management in public services including local government and housing. It introduces some of the key ideas in Risk Management. It considers the relationship between Risk Management and Business Planning. Risk Management is gaining a higher profile in public services for reasons including austerity, reduced local government budgets, self-financed housing revenue accounts and the Homes & Communities Agency’s new regulatory standards. In all public services, risks need to be assessed in terms of the possible effects on the wider organisation – an approach that is often called ‘scenario planning’, ‘what-ifs’, ‘stress testing’ or ‘multivariate analyses’. What does risk management achieve? When should risk management be done? How should risk management be done? How should risk management be maintained? When should risk management be changed? What can be learned from risk management? Those who attend will gain an awareness of Risk Management in public services including how to apply the principles of risk management in a public services context. Attendees will be able to identify potential risks and solutions to minimise or remove there impact. 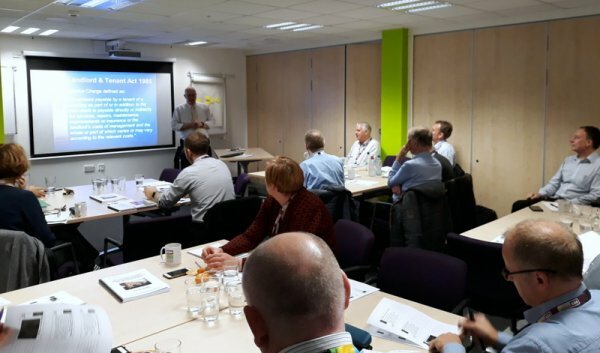 All those with an interest in Risk Management including Board members in Housing Associations and Arms’ Length Management Organisations; elected Members in local authorities; Finance managers and Operational managers. The session is appropriate for managers in voluntary organisation, social enterprises and the public sector, who wish to gain a general grounding in the ideas of Risk Management.